About | The Eat Up A Toe Foundation, Inc. 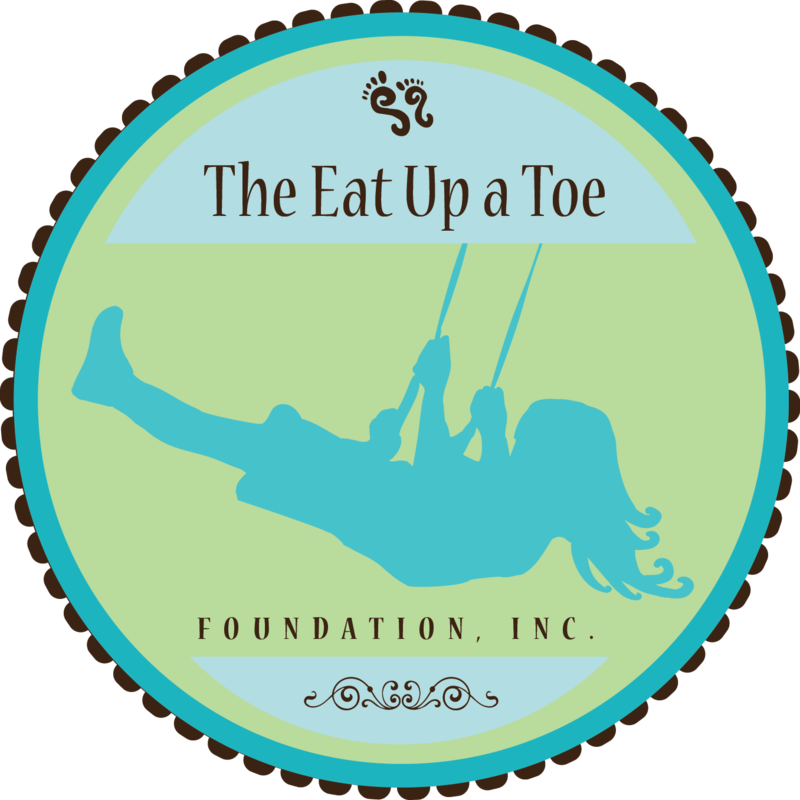 The Eat Up A Toe Foundation, Inc. is a 501 (c) 3 nonprofit that was begun in October of 2011 as a way for Bella’s mother, Jennifer, to honor her daughter and to help those in her local community who have a child with a life-threatening, life-limiting, or terminal illness. Ms. Shoemaker also uses the foundation to bring awareness to the financial difficulties families face when they have a child with an illness. Funny. That one word b est describes Bella. She loved nothing more than to make everyone laugh. Nothing could take that away, not even cancer. On the day Bella was diagnosed with cancer as a 4 ½ month old, she was laughing and enjoying life like nothing terrifying or horrible was going on. Her pediatrician noted that Bella should have been crying in pain that day from the pressure built up in her head from the excess fluid. But not Bella. She was tough and fearless and remarkable. And always funny. Bella could be having a temper tantrum, but for some reason she went about it in a funny way. It might be the way she would scrunch up her face in anger or the little defiant yelp she would yell out. Whatever it was, she had her own unique way of expressing her frustration and anger. It never failed that in the end she would have the last say either by offering up the sweetest apology (“I sorry”) or by telling on whoever put her in time out if given the chance. Then there are Bella’s three “A” words: adorable, awesome, and amazing. She loved to announce that she was adorable, awesome and amazing whenever she had the chance. 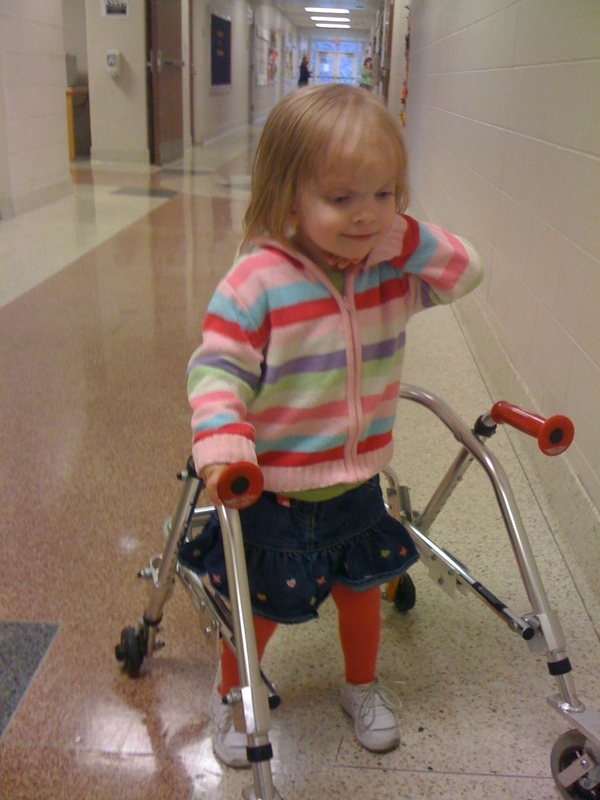 It was not uncommon for Bella to be going down the hall at school or working hard in a therapy session and pipe up with “Bella is amazing!” And that she was. Bella’s brain tumor, classified as a desmoplastic infantile astrocytoma, caused her to experience developmental delays. From speech to walking, Bella fought hard for every advancement, sometimes with a little reluctance at first and sometimes forging on at a break neck speed. In the end, Bella was talking in full sentences, taking independent steps, and learning Braille. On March27, 2011, Bella passed away surrounded by her family who loved her so much. And while there is a little less laughter in the world, her spirit continues on through the lives of her family and friends and through The Eat Up A Toe Foundation. The origins of The Eat Up A Toe’s name come from Bella herself. When learning how to talk, Bella was babbling one day when out popped something that, to her mom, sounded like “eat up a toe.” Finding it very funny, her mom, Jennifer, laughed and said, “Baby girl, did you say eat up a toe?” Bella began to laugh, and the rest, they say, is history. From that point on Bella would say “eat up a toe” as a way to make people laugh while also managing to get friends, family, and classmates to say it with her. When deciding on a name for the foundation, Jennifer realized that the best name for her nonprofit was the phrase that Bella made famous and that which embodies Bella’s sense of humor and her love of laughing. We will be having our next run/walk on Saturday, June 25th at Kereiakes Park. Registration starts at 5 p.m. and the run/walk starts at 6 p.m. We will have more details soon. Thanks for asking!